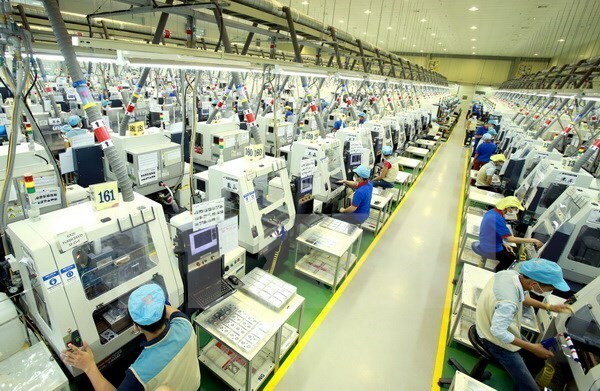 Hanoi (VNA) – The World Bank (WB) released the “Migrating to Opportunity” report via a teleconference with Vietnam on October 9, saying that easing restrictions on labour migration can boost workers’ welfare and deepen regional economic integration. According to the report, Vietnam will need to evaluate its current policies for incentivizing out-migration to determine whether they are meeting the country’s needs. While the intention of these policies is laudable, other reforms are also necessary, including review of recruitment agencies’ frequent and at least tacitly sanctioned practice of requiring migrant workers to pay a security deposit to guarantee their return, which is frequently not repaid. A national migration strategy could help to guide reforms, the WB says in the report. It notes that lowering the barriers to mobility in ASEAN would increase the welfare gains workers receive from economic integration. Intraregional migration in ASEAN increased between 1995 and 2015, turning Malaysia, Singapore, and Thailand into regional migration hubs. These three countries are now home to 6.5 million ASEAN migrants, 96 percent of the total. Low-skilled, and often undocumented, ASEAN migrants move in search of economic opportunity, mainly in the construction, plantation, and domestic services sectors. Higher-salary jobs are available, yet workers are not always able to take advantage of these opportunities, the report says. It added the ASEAN Economic Community has taken steps to facilitate mobility, but these regulations only cover certain skilled professions – doctors, dentists, nurses, engineers, architects, accountants, and tourism professionals – or just 5 percent of jobs in the region. Overall, migration procedures across ASEAN remain restrictive, the report says, adding that barriers such as costly and lengthy recruitment processes, restrictive quotas on the number of foreign workers allowed in a country, and rigid employment policies constrain workers’ employment options and impact their welfare. These restrictive policies are partly influenced by the perception that an influx of migrants would have negative impacts on receiving economies.